While there is considerable information on the impacts of livestock grazing, much of it is difficult to locate or in a format that is not user friendly. Understanding Livestock Grazing Impacts assembles and presents this information in a way that is both comprehensive and accessible. Managing rangelands in the western United States has become much more complex over the last few decades. A century ago the goal was to survive as a livestock producer, and rangeland management involved using forage effectively and overcoming obstacles such as predators and shortages of water and feed. Today the successful rangeland manager also needs to consider the diversity and health of the ecosystem. 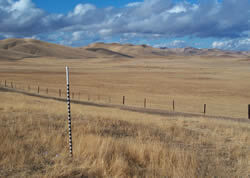 Livestock grazing can affect riparian areas, sensitive plants, and endangered wildlife. Livestock grazing impacts are not just either/or, impacts will vary considerably depending on the season, intensity, frequency and class of livestock grazing that occurs. The health of ecosystems can be assessed by using the "criteria and indicators" concept. This entails identifying individual environmental, economic or social indicators that are affected by livestock grazing and that can be described, evaluated and monitored. Environmental indicators include habitat for endangered species such as the kit fox, oak regeneration and water quality, and economic indicators include forage production and calving rate. While there is considerable information on the impacts of livestock grazing, much of it is difficult to locate or in a format that is not user friendly. Understanding Livestock Grazing Impacts assembles and presents this information in a way that is both comprehensive and accessible. This makes it easier for ranchers and land managers to analyze, compare and choose the grazing strategies that best achieve the goals for a given grazing unit. shows how the indicators can be measured and monitored.